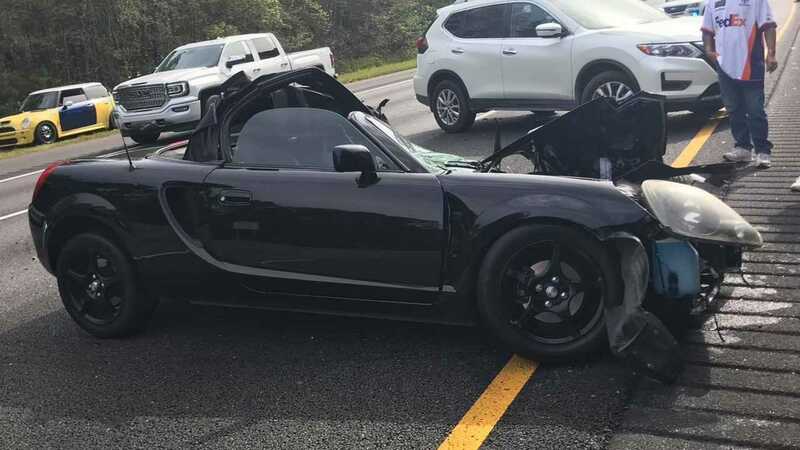 As scary as the images of the aftermath may seem, and they truly are, we are happy to report the driver of what used to be a Toyota MR2 walked away from the crash without any life-threatening injuries whatsoever. As a matter of fact, he left the hospital only with minor injuries and was able to tell the story about what happened on Monday on the I-95 highway in the U.S. Behind the wheel of his 2001 Toyota MR2, Scott Shepherd attempted to avoid a bucket that fell in front of his car from a pickup truck’s bed. The utilitarian vehicle actually cut him off and that’s when the obstacle appeared on the road, prompting the driver to take evasive measures. As the saying goes, the worst came to the worst, with Scott losing control of his mid-engined sports car and crashing into a semi-truck. 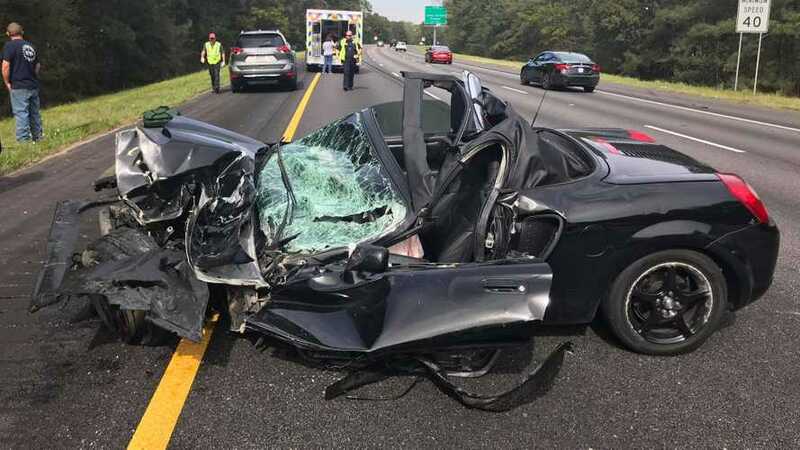 Upon impact, the tiny two-seater suffered structural damage and the fabric top fell around the driver, while the steering wheel blocked Scott in his seat. As bad as that sounds, he was able to cut through the collapsed roof by using his shoe and ultimately managed to get out of the wreckage safe and sound. Some bending of the roof’s frame was also necessary to clear the path. The nasty accident goes to show the progress automakers have made in regards to safety, and it will only get better in the years and decades to come. Toyota phased out the beloved MR2 back in 2007 after three generations, but recently it’s been dropping hints about a possible return to slot between the 86 and the revived Supra.